Professor Lars Nielsen is leading the development of experimental and computational tools to analyse and design complex biological systems. His expertise in metabolic modelling and flux analysis is available nowhere else in Australia – and in few labs across the world. Professor Nielsen’s studies of biological systems as diverse as bacteria, baker's yeast, sugarcane, insects and mammals has attracted industrial partnerships with companies including Dow, Metabolix, Amyris, LanzaTech, Boeing, Virgin Australia and GE. These metabolic engineering partnerships have focussed on developing new ways of producing aviation fuel, various materials and bioactives (antibiotics, biopesticides, monoclonal antibodies). Professor Nielsen is also applying system analysis and design approaches to tissue engineering including novel strategies for generating microtissues for drug screening and using stem cells to produce red and white blood cells for transfusion. Professor Nielsen collaborates with some of the world’s pre-eminent metabolic engineers. A joint project with Prof Sang Yup Lee (KAIST, Korea) enabled several extended mutual visits to explore use of sugar for higher value products. A separate project focused on producing synthetic aviation fuel based on isoprenoids involves Professor Nielsen collaborating with global synthetic biotechnology company Amyris and leading isoprenoid metabolic engineer Professor Jay Keasling, from UC Berkeley. Professor Nielsen has secured $8million since 2006 from industry through research grants with US, European, Japanese, Korean, New Zealand and Australian companies. Systems and synthetic biology. Professor Nielsen is dedicated to both the advancement of bioengineering science and its application to specific problems. Using thermodynamic principles, novel approaches are developed for handling complex, transient dynamics in developing tissue as well as rational design of complex pathways. These novel approaches are used in the design of bioprocesses as diverse as the production of blood cells for transfusion and the production of industrial biopolymers. Professor Nielsen has been granted four patents – two in stem cells and another two in metabolic engineering. He is on the Scientific Advisory Board of InSphero (2009–), a Swiss company commercialising microtissue technology originating in the Nielsen laboratory. He is an editorial board member of ACS Synthetic Biology, Metabolic Engineering, Biotechnology Journal, Biotechnology and Bioengineering and Bioprocess and Biosystems Engineering. 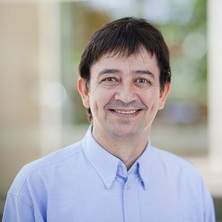 Professor Nielsen formed and chaired the 2005 CRC SIIB Industrial Biotechnology Panel to develop an industrial biotechnology strategy for the Australian sugar industry. He successfully lobbied for the inclusion of Industrial Biotechnology in the Queensland Biotechnology Strategic Plan 2005-2015. Since then he has served as expert advisor to government, research bodies, domestic and major international companies such as Dow Chemical, DuPont and GS Caltex. In the past decade, he has been part of successful research grant applications totalling $56 million, with $31.2 million for his own systems and synthetic biology group at AIBN. Professor Nielsen has received the UQ Foundation Research Excellence Award; and the Australian Institute of Political Science Queensland Young Tall Poppy Award. He was invited to speak at the 2010 Science at the Shine Dome Symposium on Genomics & Mathematics, Canberra; and the Australian Academy of Technical Sciences & Engineering’s National Symposium on Future-Proofing Australia. Timmins, Nicholas E. and Nielsen, Lars K. (2012). Large scale ex vivo manufacture of blood cells. In Nigel Jenkins, Niall Barron and Paula Alves (Ed. ), Proceedings of the 21st Annual Meeting of the European Society for Animal Cell Technology (ESACT), Dublin, Ireland, June 7-10, 2009 (pp. 557-571) Dordrecht, Netherlands: Springer. Quek L-E and Nielsen LK (2009). Metabolic engineering of mammalian cells. In CD Smolke (Ed. ), The Metabolic Pathway Engineering Handbook - Fundamentals (pp. 26-1-26-22) Boca Raton Florida, USA: CRC Press Taylor & Francis Group. Timmins, Nicholas E. and Nielsen, Lars K. (2007). Generation of Multicellular Tumour Spheroids by the Hanging Drop Method. In John M. Walker (Ed. ), Tissue Engineering 2 ed. (pp. 141-151) Totowa, N. J.: Humana Press. Manufactured RBC - Rivers of blood, or an oasis in the desert? Krömer, Jens, Quek, Lake-Ee and Nielsen, Lars (2009) 13C-fluxomics: A tool for measuring metabolic phenotypes. Australian Biochemist, 40 3: 17-20. Lake-ee Quek and Nielsen, Lars K. (2008) On the reconstruction of the Mus musculus genome-scale metabolic network model. Genome Informatics, 21 89-100. Timmins, Nicholas E and Nielsen, Lars K (2007) Generation of multicellular tumor spheroids by the hanging-drop method. Methods in molecular medicine, 140 141-151. Brumbley, S. M., Purnell, M. P., Petrasovits, L. A., Nielsen, L. K. and Twine, P. H. (2007) Developing the sugarcane biofactory for high-value biomaterials. International Sugar Journal, 109 1297: 5-15. Brumbley, S.M., Twine, Peter and Nielsen, Lars (2006) The high-carb economy. Australasian Science, 27 6: 19-22. Da Silva Pedrini, M. R., Chan, L. C. L., Nielsen, L. K. and Reid, S. (2006) In vitro production of Helicoverpa armigera single-nucleocapsid nucleopolyhedrovirus. Brazilian Archives of Biology and Technology: an international journal, 49 SPEC. ISS. : 35-41. Nielsen L.K. (1999) Bioreactors for haematopoietic cell culture. Annual Review of Biomedical Engineering, 1: 129-152. Limiting dilution assay: Single or multiple dilution protocol? Nielsen, LK (1997) Limiting dilution assay: Single or multiple dilution protocol?. British Journal of Haematology, 97 1: 250-250. Conwell, Louise S., Hodson, Mark P., Chrysanthopoulos, Panagiotis K., Greer, Ristan M., Nielsen, Lars K., Cardinal, John W., Sanders, L., Gous, R. and Baskerville, Tracey (2015). 1,5-Anhydroglucitol, the most discriminatory metabolomic marker measured by Gas Chromatography-Mass Spectrometry in adolescents with Type 1 Diabetes compared to control subjects - High correlation with Glycomark assay. In: Children's Health Queensland Research Conference, unknown, (). unknown. Conwell, Louise S., Hodson, Mark P., Chrysanthopoulos, Panagiotis K., Greer, Ristan M., Nielsen, Lars K., Cardinal, John W., Sanders, L., Gous, R. and Baskerville, Tracey (2015). 1,5-Anhydroglucitol, the most discriminatory metabolomic marker measured by Gas Chromatography-Mass Spectrometry in adolescents with Type 1 Diabetes compared to control subjects - high correlation with Glycomark assay. In: International Society of Paediatric and Adolescent Diabetes / Australasian Paediatric Endocrine Group Annual Scientific Meeting, Brisbane, QLD, Australia, (). October 2015. Brumbley, S. M., Petrasovits, L. A., McQualter, R. B., Gebbie, L. K., Tilbrook, K., Patterson, N. A., Somleva, M. N., Nielsen, L. K. and Snell, K. D. (2011). Pha accumulation in sugarcane plastids and peroxisomes. In: 32nd Australasian Polymers Symposium, The Novotel Pacific Bay Resort, Coffs Harbour, Australia, (). 13-16 February. Marcellin, E., Mercer, T. R., Licona, C. and Nielsen, L. K. (2011). Systems biology for industrial microorganisms. In: XIV Congreso Nacional de Biotecnología y Bioingeniería, Queretaro, Mexico, (). 19-24 June 2011. Brumbley, S. M., Petrasovits, L. A., McQualter, R. B., Patterson, N. A., Somleva, M. N., Nielsen, L. K. and Snell, K. D. (2010). PHA accumulation in sugar cane. In: ISBP 2010 International Symposium on Biopolymers, Stuttgart, Germany, (). October 3-7. Brumbley, S. M., Petrasovits, L. A., McQualter, R. B., Tillbrook, K., Patterson, N. A., Somleva, M. N., Nielsen, L. K. and Snell, K. D. (2010). Production of the biopolymer polyhydroxybutyrate in sugarcane. In: FAPESP Bioenergy Research Program (BIOEN) Workshop on Synthetic Biology, São Paulo, Brazil, (). 26-27 October. Lim, S., Marcellin, E., Jacob, S. and Nielsen, L. K. (2010). Understanding the role of serine, threonine and tyrosine phosphorylation in the central carbon metabolism of E. coli. In: Metabolic Engineering VIII, Jeju Isl, South Korea, (). June 13-18. Brumbley, Steven M., McQualter, R. A., Nielsen, L. K, Petrasovits, L. A. and Zhou, L. (2009). Production of the biopolymer polyhydroxybutyrate in sugarcane. In: Plant Metabolic Engineering: Gordon Research Conference 2009, Waterville Valley, NH, U.S.A., (). 12-17 July 2009. Petrasovits, L. A., Zhao, L., McQualter, R. B., Snell, K. D., Nielsen, L. K. and Brumbley, S. M. (2008). Development of a pre-glasshouse selection system for PHB-producing sugarcane and establishment of a high throughput transformation system. In: International Symposium on Biological Polyesters Conference 2008, Auckland, NZ, (). 23-26 November 2008. McQualter, R. B., Somleva, M. N., Xuemei, L., Petrasovits, L., Zhao, L., Nielsen, L. K. and Brumbley, S. M. (2008). Immunolocalisation of PHB biosynthesis enzymes in the leaves of transgenic sugarcane plants. In: International Symposium on Biological Polyesters Conference 2008, Auckland, NZ, (). 23-26 November 2008. Petrasovits, L. A., Zhao, L., McQualter, R. B., Snell, K. D., Nielsen. L. K. and Brumbley, S. M. (2008). PHB production in sugarcane. In: 10th International Symposium on Biological Polyesters Conference (ISBP), Auckland, New Zealand, (). 23 – 26 November 2008. Anderson, D. J., Brumbley, W. M., Gnanasambandam, A., Nielsen, L. K., O'Shea, M. G. and Williams, E. (2008). Production of polyhydroxyalkanoate copolymers in sugarcane. In: Proceedings of: International Symposium on Biological Polyesters Conference. International Symposium on Biological Polyesters Conference, Auckland, New Zealand, (). 23 – 26 November 2008. Brumbley, S. M., Petrasovits, L. A., Zhou, L., McQualter, R. A. and Nielsen, L. K. (2008). Sugarcane: An industrial crop for the production of polyhydroxyalkanoates. In: Proceedings of: Fifth Annual World Congress on Industrial Biotechnology and Bioprocessing: Linking Biotechnology, Chemistry and Agriculture to Create New Value Chains. Fifth Annual World Congress on Industrial Biotechnology and Bioprocessing, Chicago, IL, U.S.A., (). 27-30 April 2008. Brumbley, S. M., Petrasovits, L. A., McQualter, R. A., Zhou, L. and Nielsen, L. K. (2008). Sugarcane: An industrial crop for the production of polyhydroxyalkanoates. In: ComBio 2008, Canberra, Australia, (). 21-25 September 2008. Brumbley, S.M., Petrasovits, L.A., Anderson, D., Purnell, M., Su, A., Zhao, L., Abeydeera P. and Nielsen L.K. (2007). Metabolic engineering of sugarcane for production of industrial chemicals. In: AusBioTech Biofutures Forum, Parliament House, Canberra, Australia, (). 14 June, 2007. Brumbley, S. M., Petrasovits, L. A., Anderson, D., Purnell, M. P., Su, M. P., Su, A., Zhao, L. and Nielsen, L. K. (2007). Metabolic engineering of sugarcane for production of industrial chemicals. In: The Fourth Annual World Congress on Industrial Biotechnology and Bioprocessing, Florida, U.S.A., (). 21-24 March, 2007. Brumbley, S. M., Purnell, M. P., Petrasovits, L. A., Anderson, D. A., McQualter, R. B., Chong, B. F. and Nielsen, L. K. (2007). Sugarcane: A crop with the potential to function as both a biofactory producing industrial chemicals and as a large scale source of carbohydrates for future biorefineries. In: Proceedings of: 2nd EPOBIO Workshop: Products from Plants – from crops and forests to zero-waste biorefineries. 2nd EPOBIO Workshop: Products from Plants – from crops and forests to zero-waste biorefineries, Athens, Greece, (). 15-17 May 2007. Gnanasambandam, A., Anderson, D. J., Williams, E., Nielsen, L. K. and Brumbley, S. M. (2006). Efficient targeting of green fluorescent protein to sugarcane peroxisomes. In: 28th Conference of the Australian Society of Sugarcane Technologists. 28th Conference of the Australian Society of Sugarcane Technologists, Mackay, Qld, Australia, (). 2-5 May, 2006. Gnanasambandam, A., Anderson, D., Williams, E., Nielsen, L. and Brumbley, S. (2006). Efficient targeting of green fluorescent protein to sugarcane peroxisomes. In: Tropical Crops Biotechnology Conference, Cairns, Australia, (). 16-19 August 2006. Duke, M. C., Lim, A., Diniz da Costa, J. C. and Nielsen, L. (2006). High selectivity microporous silica membranes for lactic acid dehydration. In: 5th World Congress on Particle Technology. 5th World Congress on Particle Technology, Orlando, FL, USA, (1-4). 23-27 April, 2006. Brumbley, S. M., Nielsen, L. K., Petrasovits, L. A. and Purnell, M. P. (2006). Production of poly-3-hydroxybutyrate in transgenic sugarcane. In: Tropical Crops Biotechnology Conference, Cairns, Queensland Australia, (). 16-19 July, 2006. Brumbley, S. M., Nielsen, L. K., O'Neill. B. A. and Purnell, M. P. (2006). Production of trehalose in transgenic sugarcane. In: Tropical Crops Biotechnology Conference, Cairns, Queensland Australia, (). 16-19 August 2006. Purnell, M. P., Petrasovits, L. A., Nielsen, L. K. and Brumbley, S. M. (2006). Spatio-Temporal characterization of polyhydroxybutyrate accumulation in sugarcane. In: International Society of Biological Polyesters (ISBP), Minnesota, Minneapolis, USA, (). 27 - 31 August 2006. Purnell, M. P., Petrasovits, L. A., Nielsen, L. K. and Brumbley, S. M. (2006). Spatio-temporal characterisation of accumulation in sugarcane. In: Tropical Crop Biotechnology Conference 2006, Cairns, Qld, Australia, (). 16-19 August, 2006. Brumbley, S. M., Purnell, M. P, Petrasovits, L. A., Fong Chong, B., O'Neill, B. P. and Nielsen, L. K. (2006). Sugarcane: a versatile biofactory crop capable of sustaining the accumulation of high levels of heterologous products derived from a variety of precursors. In: Tropical Crops Biotechnology Conference, Cairns, Queensland Australia, (). 16-19 August 2006. Duke, M. C., Lim, A and Nielsen, L K (2006). Temperature and durability studies of lactic acid dehydration with inorganic membranes. In: C Jagadish and G Q Lu, Proceedings of the 2006 International Conference on Nanoscience and Nanotechnology. Proceedings of the 2006 International Conference on Nonoscience and Nanotechnology, Brisbane, Queensland, Australia, (520-523). 3-7 July 2006. Brumbley, S. M., Purnell, M. P., Petrasovits, L. A., McQualter, R., Fong Chong, B., Meyer, K., Van Dyk, D. E., O'Shea, M. G., Walton, N. J., Nielsen, L. K. and Viitanen, P. V. (2005). Development of sugarcane as a biofactory for biopolymers. In: Development Of Sugarcane As A Biofactory For Biopolymers. The Second World Congress on Industrial Biotechnology and Bioprocessing: Linking Biotechnology, Chemistry and Agriculture to Create New Value Chains, Orlando, FL, USA, (). 20–22 April 2005. Duke, M. C., Lim,, Diniz da Costa, J. C. and Nielsen, L. K. (2005). Effectiveness of inorganic membranes for lactic acid dehydration. In: BIONANO The Next Frontier, Brisbane, (54-55). 4-7 December, 2005. Haas, R, Reid, S and Nielsen, LK (2005). Effects of multiplicity of infection (MOI) and cell cycle on baculovirus infection kinetics. In: Godia, F and Fussenegger, M, Animal Cell Technology Meets Genomics. 18th Meeting of the European-Society-of-Animal-Cell-Technology (ESACT), Granada Spain, (163-165). May 11-14, 2003. Duke, M. C., Diniz da Costa, J. C., Nielsen, L. and Lim, A. (2005). High selectivity microporous silica membranes for lactic acid dehydration. In: 2005 Sir Mark Oliphant Conference: BioNano: The Next Frontier, The University of Queensland, Australia, (1-2). 4-7 December, 2005. Brumbley, S. M., Purnell, M. P., Petrasovits, L. A., McQualter, R., Fong Chong, B., Meyer, K., Van Dyk, D. E. and Nielsen, L. K. (2004). Development Of sugarcane as a biofactory for biopolymers. In: International Symposium on Biological Polyesters (ISBP 2004). International Symposium on Biological Polyesters (ISBP 2004), Beijing, China, (). 22-28 August 2004. Brumbley, Stevens M., Purnell, Matt P., Petrasovits, Lars A., O'Shea, Michael G. and Nielsen, Lars K. (2004). Development of sugarcane as a biofactory for biopolymers. In: Proceedings of Plant & Animal Genomes XII Conference. Plant & Animal Genomes XII Conference, San Diego, U.S., (). 10-14 January 2004. Brumbley, S. M., Petrasovits, L., Purnell, M., O'Shea, M. and Nielsen, L (2003). Production of polyhydroxyalkanoates in sugarcane. In: 6th Asia Pacific Biochemical Engineering Conference (APBioChEC): Harnessing New Technology for Bioprocess Development, Brisbane, Australia, (). 30 November- 4 December 2003. Brumbley, S. M., Petrasovits, L. A., Bonaventura, P. A., O'Shea, M. J., Purnell, M. P. and Nielsen, L. K. (2003). Production of polyhydroxyalkanoates in sugarcane. In: 4th ISSCT Molecular Biology Workshop, Montpelier, France, (). 7-14 April, 2003. Brumbley, S. M., Petrasovits, L. A., Bonaventura, P. A., O'Shea, M. J., Purnell, M. P. and Nielsen, L. K. (2003). Production of polyhydroxyalkanoates in sugarcane. In: Proceedings: IVth International Workshop on Plant Biotechnology and Sustainable Development " BioVeg 2003 ". IVth International Workshop on Plant Biotechnology and Sustainable Development (BioVeg2003), Ciego de Avila, Cuba, (). 14-19 April 2003. Brumbley, S. M., Petrasovits, L., Purnell, M., O'Shea, M. G., Geijskes, J., Prakash Lakshmanan, Smith, G. R. and Nielsen, L. K. (2002). Application of biotechnology for future sugar industry diversification. In: Proceedings of the 2002 Conference of the Australian Society of Sugar Cane Technologists. 2002 Conference of the Australian Society of Sugar Cane Technologists, Cairns, Queensland, Australia, (40-46). 29 April - 2 May, 2002. Blank, L., Koebmann, B. J., Nielsen, L. K. and Jensen, P. R. (2000). 43 Hemin reconstitutes the growth of an H+ -ATPase negative mutant of Lactococcus lactis. In: Jan-Hendrik S. Hofmeyr, J. M. Rohwer and J. L. Snoep, Animating the Cellular Map. 9th International Meeting on BioThermoKinetics, Stellenbosch, South Africa, (291-297). 3-7 April. Ex vivo expansion of apheresis products: Do accessory cells support the expansion process? Mostafa, S, Liu, J, Collins, PC, Nielsen, LK, Miller, WM and Papoutsakis, ET (1997). Ex vivo expansion of apheresis products: Do accessory cells support the expansion process?. In: Blood. 17th Annual Scientific Meeting and Education Day of the Society-for-Neuro-Oncology (SNO), Washington Dc, (4300-4300). Nov 15-18, 2012. Model-based analysis of the effect of TGF-beta 1 on erythropoiesis. Nielsen, LK, Miller, WM and Papoutsakis, ET (1996). Model-based analysis of the effect of TGF-beta 1 on erythropoiesis.. In: Blood. , , (572-572). .
Reid, S, Greenfield, PF, Power, J, Radford, KM, Nielsen, LK, Wong, TKK and Peter, C (1995). The use of very low multiplicities of infection with the baculovirus expression vector system. In: Beuvery, EC, Griffiths, JB and Zeijlemaker, WP, Animal Cell Technology: Developments Towards the 21St Century. ESACT/JAACT Meeting on Animal Cell Technology - Developments Towards the 21st-Century, Veldhoven Netherlands, (73-77). Sep 12-16, 1994. Nielsen, LK, Wong, Tkk, Power, J, Reid, S and Greenfield, PF (1994). Using Oxygen Uptake Rates to Time Infections in the Baculovirus Expression Vector System. In: Kobayashi, T, Kitagawa, Y and Okumura, K, Animal Cell Technology: Basic & Applied Aspects, Vol 6. 6th International Meeting of the Japanese-Association-for-Animal-Cell-Technology; Animal Cell Technology - Basic and Applied Aspects, Nagoya Japan, (161-166). Nov 09-12, 1993. Nielsen, LK, Niloperbowo, W, Reid, S and Greenfield, PF (1991). Modeling Growth of and Antibody-Production by Hybridomas in Glutamine Limited Suspension-Cultures. In: SPIER, RE, GRIFFITHS, JB and MEIGNIER, B, Production of Biologicals From Animal Cells in Culture. 10Th Meeting of the European Soc for Animal Cell Technology : Production of Biologicals From Animal Cells in Culture, Avignon France, (625-630). 1990. Determining intracellular metabolic fluxes in animal cell culture. Understanding and Resolving the Problem of Poor Transduction Efficiency Observed in Retroviral Gene Therapy.